A unique model in an unbeatable location! The comfort like a mobile-home restyled in a cottage from 20m², 1 spacious bedroom with a shelf, wardrobe and a bed 160. 1 dining / sitting area convertible into bed (140). 1 equipped kitchen with large refrigerator. A large bathroom. 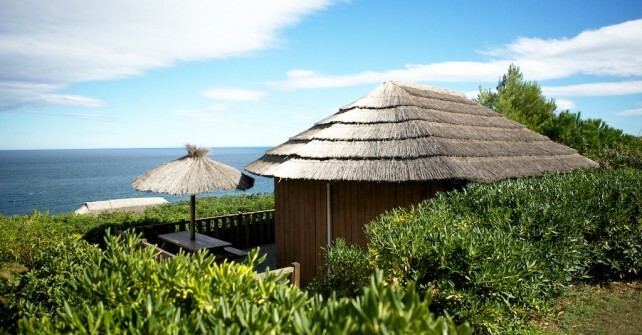 A wooden terrace varying from 15m² to 22m² with a wooden picnic table and a fixed parasol. Air conditioning. The Faré is unique and specially personalized for the Criques de Porteils. 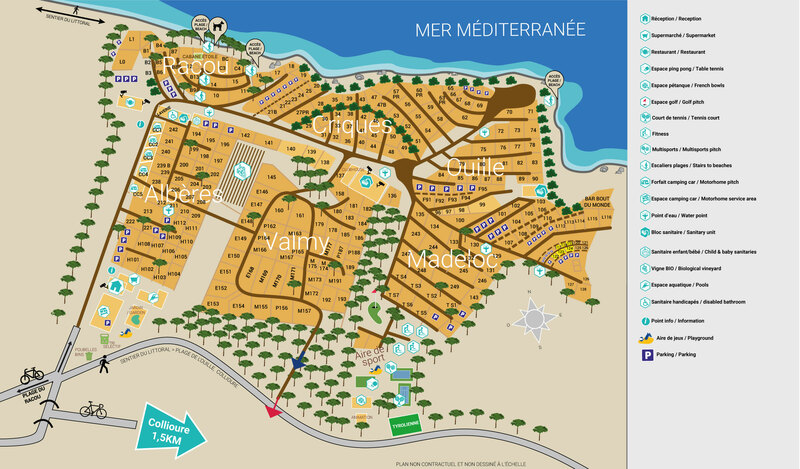 It benefits from an exceptional location at our campsite with a direct view on the Mediterranean Sea from your terrace. A curtain allows you to separate the living room into a second intimate bedroom. The kitchen has direct access to the terrace. Numerous ranging spaces in the bathroom. Our Opinion : A unique model in an unbeatable location ! This holiday rental is a unique model, specially conceived for our luxury campsite. This seaside accommodation benefits from an exceptional location at our campsite with a direct view on the Mediterranean Sea from your terrace. A dedicated parking space is right behind your Faré.